The diagram below shows how the height of an object (the red dot) affects how much of the Earth can be seen from the object. The red dot (which could represent a satellite, for example) can be moved to change its height. 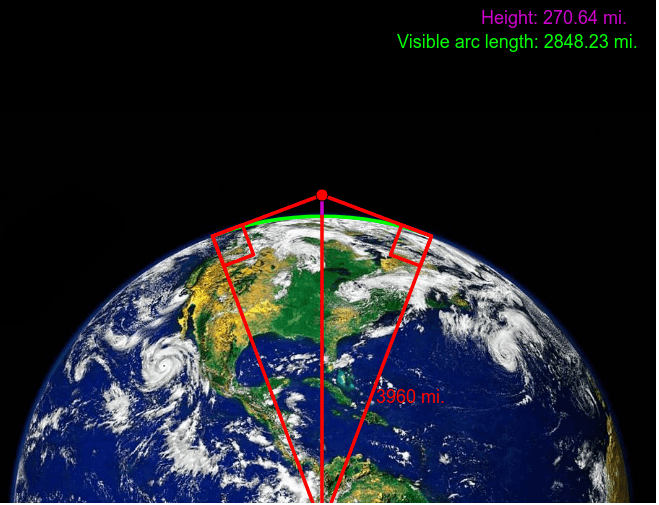 What equation describes the relationship between height and visible arc length here?